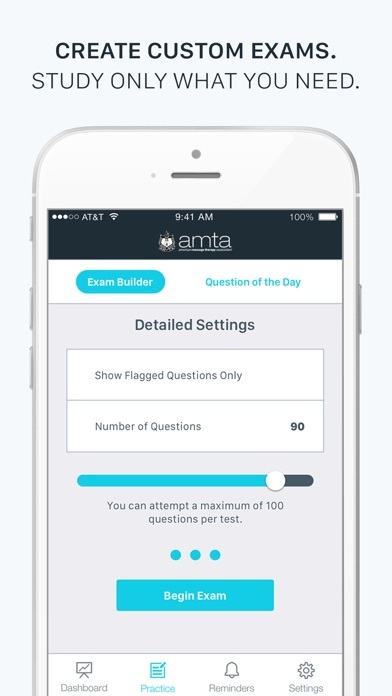 I feel like this app needs a reading list as a companion to the tests. I am a CMT and a review book and reading list would help therapists who want to prep for the tests effectively. Adding a reading list to the application would give this application a 5 star review from me. 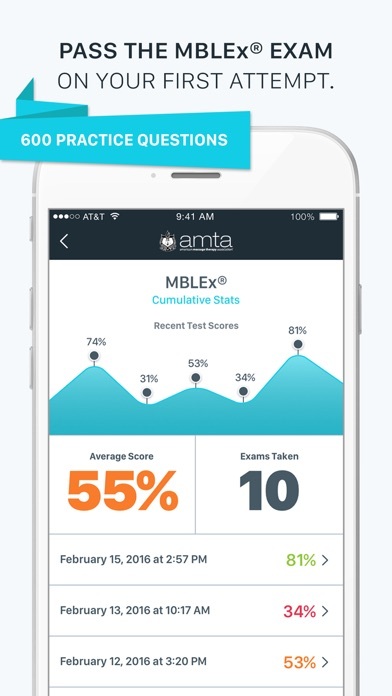 Helps tremendously when it comes to improving your skills, I'm currently in school for massage and I take one of these exams literally everyday. Not only does it improve my knowledge on subjects it gives me insight on what to expect on the test itself which is priceless. I loved this app and the questions were really good, but it’s not stable. It erased ALL my data and flagged questions, everything just days before my test. I was so sad by that. It takes a long time to load. This is a helpful app I have to say thank you for this tools. 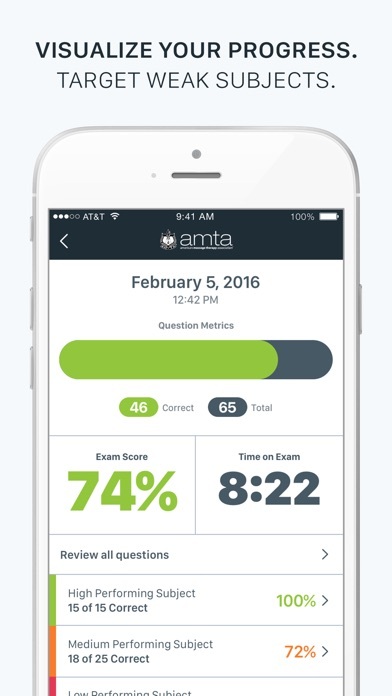 This app makes it so easy and FUN to prepare for massage medical boards! 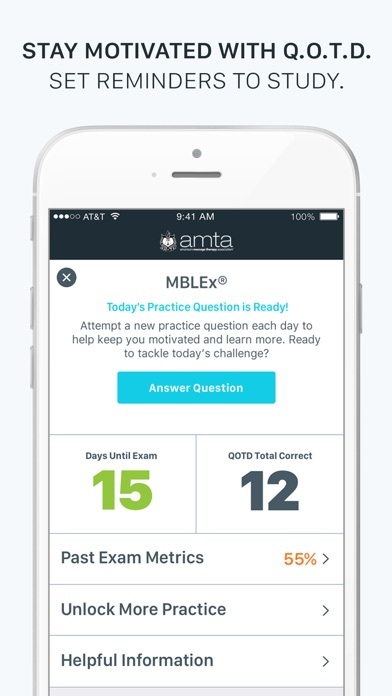 I paid for the ABMP and the bamboo test prep. The abmp was good but this is better and free!